Two years ago, doctors advised Sing Yu’s parents to take her off life support as – diagnosed with the deadliest form of brain cancer – she didn’t have long to live. Today, they’re still defying the odds, caring for their 24-year-old at home. 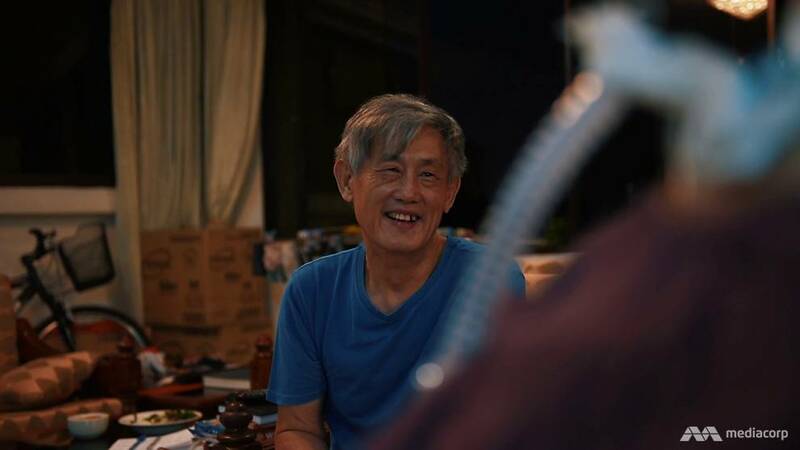 SINGAPORE: The tiniest of movements brings him pure happiness – the flicker of an eye, a shift of her head, her chest heaving ever so slightly in time with the whooshing of the ventilator. “Just two blinks, and it’s enough,” says Mr KY Lim. His hands move gently yet strongly across his daughter’s leg – a dancer’s slender leg, that once leapt and pirouetted across a stage – flexing and massaging to ease the stiff muscles and get the blood flowing. The 68-year-old watches for the tiniest twitch or resistance that will tell him he’s pressed too hard and caused her pain. Every day that his 24-year-old daughter lives, and shows some hint of response to her surroundings, is what some might call an improbability, others a minor miracle. In 2015, shortly before Christmas, Sing Yu* underwent a last-ditch, desperate operation to remove most of her grade 4 brain tumour. She has glioblastoma multiforme (GBM) – the deadliest kind of brain cancer there is.The surgery itself carried a high risk, but though she survived that, the university undergraduate was left an unresponsive shell, and given just three to six months to live by doctors. One even suggested taking her off the life support machine as there was no hope of recovery, and every likelihood the tumour would grow back, her mother Madam Sue Goh recalled. They chose to fight for their daughter’s survival instead – and brought her home. Today, three Christmases later, she lies mostly unmoving in bed, with apparently limited awareness, unable to swallow, talk or blink normally – but still defying the odds, with the help of five machines that keep her alive, and the stubborn faith and love of her parents. She requires 24-hour care from them, and that means Mdm Goh, 62, sleeps every night beside her daughter, holding her hand, waking up every two hours to check on her. She and her husband have practically given up any semblance of a normal lifestyle, to be on perpetual standby for her. Every little sign is counted a blessing, a small victory, a vindication. Whether it’s a flash of her eyes when someone talks about something she loves, like travelling; or the fact that for the last two years, her condition has been stable, and the tumour hasn’t shown signs of growing again. It’s what keeps the Lims, a retired couple, going. In a bedroom crowded with life-support machines and boxes of medication, there are still telling signs of the young woman Sing Yu used to be. Like her clothes, including a favourite blue polka-dotted day dress, that hang in the wardrobe. She so enjoyed dolling herself up and wearing pretty clothes, her mum recalls, that her two sisters quipped that she was very “xiao jie”, which means young lady in Chinese. Family photos on the walls of their apartment show a lively, well-made-up girl who was a natural in front of the camera. “When she was in secondary school, she was famous! Everybody knows her, especially the boys,” said Mr Lim, eyes wide, thinking of the guys who once courted his pretty daughter. At the age of seven, she took up dancing. “I was the one who said girls should learn ballet and music. So I enrolled her,” Mdm Goh said with a laugh. Sing Yu also took piano, guzheng and violin classes along the way, but eventually gave them up; it was ballet that stayed with her as a true passion, right up to diploma level. “She’s devoted. When she was dancing, I could see she really enjoyed it,” said Mdm Goh, who has preserved her daughter’s worn-out character shoes and pointe shoes carefully wrapped in plastic. One day, she hopes, she’ll use them again. In August 2013, Sing Yu was training with the National University of Singapore Chinese dance group, when she started to get giddy spells. At first she simply attributed it to the strenuous practices. But then she started vomiting frequently, and even had difficulty turning her head, which meant having to cancel her driving lessons. An MRI scan did not detect anything abnormal, and a doctor even suggested that she had bulimia, an eating disorder. “She was very upset with the remarks,” said Mdm Goh, in disbelief herself. Sing Yu suffered with the symptoms for a year. Doctors were unable to diagnose the problem and only prescribed medication to stop the vomiting, until one noticed that one of her eyeballs was not moving. He ordered another MRI scan – one that showed a brain tumour which had developed to grade 2. Cancer tumours are generally graded as 1, 2, 3, or 4, depending on the amount of abnormality. But Sing Yu’s parents had no idea what the implications were. “I said, ‘What is brain tumour’? I didn’t even know how serious it was,” Mdm Goh recalled. At stage 2, the tumour was still considered slow-growing and an operation was immediately arranged to remove it in November 2014. Within a week, Sing Yu was discharged with an optimistic prognosis; most of the tumour had been removed. “We were very delighted. We thought she had gotten through it,” said Mr Lim. The family went ahead with the year-end holiday to Japan that they had planned earlier. Sing Yu loved the trip. Everything seemed to be going well. But two months into 2015, a routine MRI scan showed that the tumour had resurfaced and grown back to 30 per cent of its original size, with signs of grade 3 and grade 4 development. The family was shocked. “How could it be? The surgeon also could not explain why,” said Mdm Goh helplessly. Sing Yu went for radiotherapy and chemotherapy treatments. But on her 22nd birthday, in October 2015, another MRI scan revealed an ominous sign: A lot of bright areas in the film. The tumour had progressed to grade 4, and she was diagnosed with the aggressive and deadly GBM which currently has no cure, doctors told the devastated family. Doctors gave her one to three months to live if she didn’t go for an operation. With surgery, she could possibly survive for another six months – but as this would be her second brain operation, the risks were much higher: She could become bedridden, end up in a coma, or die. “The doctors didn’t offer anything else,” said Mdm Goh. What choice did we have? Of course we fought for survival. The operation succeeded in removing most of the tumour – not all, because it sat on her brain stem. But one side of her brain was affected, her mum said. Sing Yu remained in a near-vegetative state, and was transferred to the ICU where her breathing had to be supported by a ventilator. The prognosis was poor: The GMB would likely manifest again soon, the couple was told, and so, they were advised to remove the ventilator. “I said no,” said Mdm Goh, still upset at the memory. Against the better judgement of the doctors, the couple brought their daughter home to celebrate Chinese New Year in 2016, after a nursing team taught them how to attend to her needs and to use the various medical equipment needed to keep her alive. The Lims’ first task was to look for a caregiver skilled in home-care nursing. One took up the job but quit after a few days, saying that their daughter’s condition was too stressful to handle. So the Lims took on the full-time role themselves. It means having to hold constant vigil at their daughter’s bedside and being attuned to her every need – a tough task when she can’t communicate. During the times that CNA Insider visited, Sing Yu’s eyes were opened and unfocused. Lying on Hello Kitty bedsheets with her hair braided the way she likes, she barely moved except for slight twitches, awkward shifts of her shoulders, and her tongue darting in and out at times, a sign of discomfort. They also have to constantly monitor her respiratory rate and bowel movement, which they meticulously jot down on a clipboard, in the event of any abnormal behaviour that would require immediate attention. They feed her by pouring milk formula through a tube into the stomach, and a cough assist machine is used to draw out phlegm from her lungs while a suction machine clears the phlegm. For Mdm Goh, who formerly worked for an MNC at management level, doing all this meant having to overcome her phobia of needles, blood and wounds. “At first I didn’t even dare to see. I’m very scared but I just had to learn.”While her husband helps where he can, she has assumed the role of main caregiver because duties like changing diapers and cleaning her daughter are less awkward for her. She’s fussy when it comes to washing the equipment after every tube feeding or suctioning; and tender when talking to her child, in a mother’s reassuring way. Come night time, her work doesn’t stop. Mdm Goh pushes a bed on wheels next to Sing Yu’s bed, and lies down holding her daughter’s hand while she sleeps. Her daughter’s responding grip is weak, but definitely there. The slightest movement from Sing Yu wakes Mdm Goh from her doze to find out what her child needs. The only time she gets full, uninterrupted sleep for four hours is between 7am and 11am – when her new helper steps in to help look after Sing Yu. Besides helping to carry Sing Yu around, Mr Lim’s main contribution is massaging his daughter every day – a task he takes very seriously. “Her back will have bad blood circulation, so I have to massage there. In these two years, she has never had bed sores because we massage her every day,” he says, with no small amount of satisfaction. Sweat forms on his T-shirt as he works on her leg, which is bent at an odd angle. He’s trying to get the muscles to relax so it will straighten. There’s obvious warm contentment in his eyes that he can do this for her – but there’s an underlying deep sadness as well. “To be frank, in these two years when I see her every day, I feel helpless when doing the exercises with her,” the former businessman says in Mandarin.“These times cannot be described with words – seeing her dull eyes, motionless mouth and facial expression. The tears were flowing in my heart. But if I can help her with the exercises, my heart is content. He also recognises the sacrifices his wife has made, even as he sometimes wishes he could do more. “I am most concerned about two people right now. One is my daughter, another is my wife,” he said. The Lims once again had to look outside the family for help, when their domestic helper returned home for two weeks. They tried turning to various nursing agencies hoping to engage their short-term service for those four hours a day in the morning that Mdm Goh needed to catch up on sleep. But most of the agencies charged for a 12-hour block minimum. Through a friend, they found out about Homage, an in-home caregiving service that was more flexible with timings. “It can be as short as an hour, it can be as long as 24 hours,” co-founder and COO Lily Phang told CNA Insider. Ms Jayleen Toh, a 26-year-old trained nurse, was assigned to the family. But even Ms Toh, with her eight years of experience nursing mostly elderly folks, found the task of looking after Sing Yu daunting. It especially struck home that the latter was only two years younger than she was. Still, with the Lims’ help, she quickly learnt how to understand her ward through the small movements that signalled what she needed.One thing that struck her: When she started talking to Sing Yu about her travels, and showing her the photos and videos on her handphone, the younger girl would turn her head to follow the phone as it moved back and forth. This delighted both Ms Toh and the Lims. Ms Toh also learnt more about her charge from Sing Yu’s boyfriend. The two had been dating since junior college, and he came around every few days. He would sometimes play some live hack videos for her to watch on Youtube … She would peep at him, flirting in her own way. On days that he was unable to visit, the family could tell that Sing Yu was upset from the way she turned her head away, and her eyes which would tear when they broke the news to her. Her parents take these are signs that their daughter is still conscious of what goes on around her, and it gives them hope every passing day. For example, every time they talk about Japan, her eyes would “sparkle”. She is a fan of its culture. “She likes learning Japanese. She started off by watching anime and slowly she understood,” said Mr Lim. Another huge step in her progress – she can now sit up in a wheelchair for two hours. Her parents are hoping to bring her outdoors next year. Every six months, Sing Yu has been going for an MRI scan – the most recent being in early December, which shows no growth in the tumour. Hope and optimism are what the Lims cling to, but they are aware that the road ahead is for Sing Yu is by no means certain or smooth – and that age is also catching up on the both of them. For now, they hope to find new technological means that will hopefully enable their daughter to communicate with them beyond the very little that she can now convey. And after three Christmases in which her simply being alive has been a gift to them, they hope for another Christmas of more breakthroughs for their daughter. And another. And another. “Be it a year, two years, however many years it takes, as long as both of us have this hope, this strength will keep us going,” said Mr Lim. We keep telling her that there will be a day of victory. * The spelling of Sing Yu’s name has been modified on her parents’ request.